So, we are actually getting the new leaders with the expansion? Yes! Each faction will have a new leader with the expansion. I wonder what that quote "Baeidh muid agbláth arís." means. It means "We shall bloom again." After new expansion, will you still keep an eye on cards from base set? Will you make an overall balance regarding all cards in the card pool? Some of the old ones have quite low point to provision ratio compared with new ones. What are the primary socatael categories? Elf Dwarf Dryad Gnome Treant and what else? Will dragon and human be considered as primary category as well? And anything else? Also will Saskia's ability be changed accordingly as well? Order: Damage an enemy unit by 2. If you have an Elf, Dwarf, or Dryad in your hand, decrease Cooldown by 1 (limited once per category). Pawel said that wooden board will be realised. Screaming leaders would not то look adequate on it. How are you going to make the leaders figures on the wooden board? In the form of a card or a wooden figure? Thank you! Never said that it's happening for sure, but it would be cool to have a tavern-type board. Leaders would look the same they do now. Hi, Pawel! Do you have plans to add Comments section for decks sharing feature? When will be the next dev stream? 1. Considering Nilfgaard's state as a faction, what are the developers considering to get it into a better state and to have faction identity, not counting expansions cards? 3. What was the thought process behind taking unique mechanics/cards that Nilfgaard has and making weaker neutral equivalents? Nilfgaard is currently being looked into, nothing more I would like to add tho. Will Scoiatael ever play the Mulligan Archetype again? 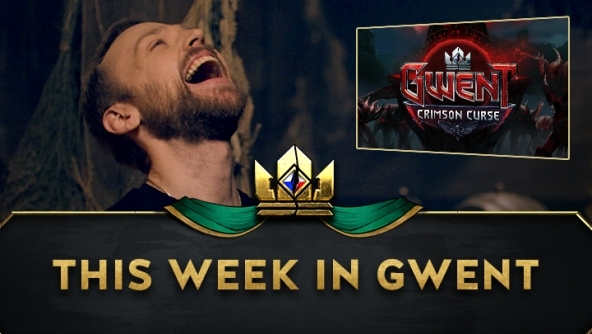 Hello Pawel, I would like to ask, will be retrieving of new Crimson Curse leaders comparable to Thronebreaker leaders in term of difficulty to get them? At example if they will require similar number of reward points like Thronebreaker leaders? @Burza46: Are there any plans for guaranteed gold card weekend (all last 3 cards in keg are epics or legendaries)? This is first expansion so why "always"? And no, CC kegs will cost 100 ore.
You were faster than me! Posted the spotlight is in a separate thread as well. Here are the cards revealed during the weekend! Alright everyone, new episode of TWIG is here! 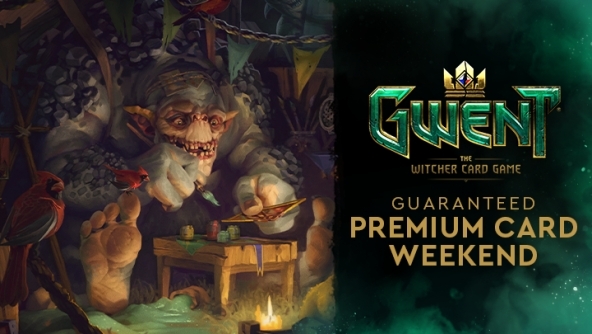 Guaranteed Premium Card Weekend is back! It's time to add some sparkle to your collection before the Crimson Curse arrives – Shupe is back with the Guaranteed Premium Card Weekend! Until Monday, March 25th, 12 PM (noon) CET, all three cards in the “Choose 1 out of 3” part of the keg opening will be upgraded to their Premium versions. This means a guaranteed animated card in every keg you open during the event! The next developer stream, when? How long Crimson Curse kegs will be available on store? We don't have and end date set up.